The 10 day-long Hindu festival of Navaratri has begun with dance and other festivities. Navratri which began on September 21 celebrates nine forms of Goddess Durga. One each day of the festival, devotees pray to a particular form of the Goddess. On the first three days of the festival, Maa Shailaputri, Maa Brahmacharini and Goddess Chandraghanta were worshipped. On the fourth day. Devi Kushmanda, who according to the Hindu mythology created the universe, will be worshipped. Her name, Kushmanda defines her role, it can be broken into -Ku which means “a little”, Ushma means “warmth” or energy” and Anda means “cosmic egg”. As per Hindu beliefs, Devi Kushmanda has the power to provide energy to the Sun and also rules the celestial body. Devotees offer red flowers to the lioness mounting Devi Kushmanda and chant prayers on the fourth day of Navratri to worship her. According to Hindu mythology, Maa Kushmanda produced the “cosmic egg” with her smile thus bringing light to the universe. As per the beliefs, Kushmanda has the strength to live in the core of the Sun from where it received brightness. She is also believed to give directions to the Sun God, Surya. 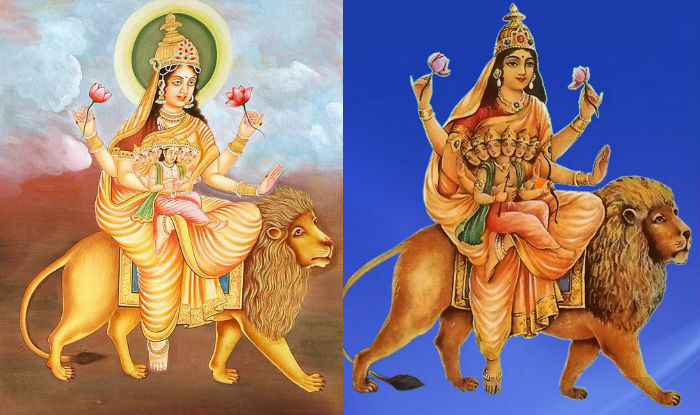 Hindu beliefs state that after taking the form of Siddhidatri, Goddess Parvati lived in the centre of the after which she was also known as Kushmanda. 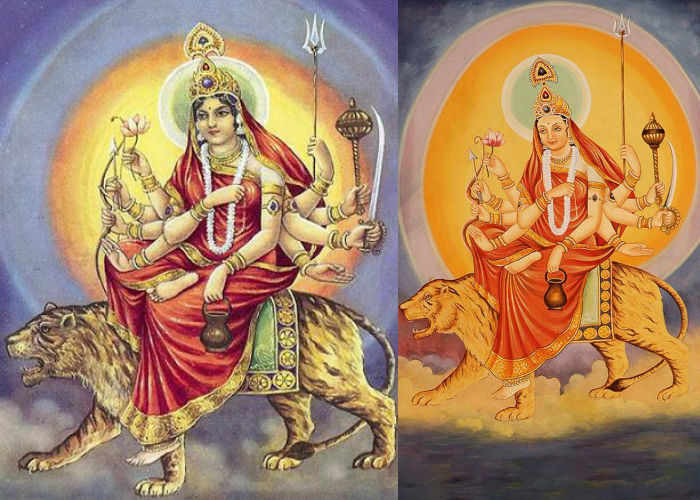 God Siddhidatri rides on the lioness and has eight hands. She has Kamandal, Dhanush, Bada and Kamal in the four right hands and Amrit Kalash, Jap Mala, Gada and Chakra in the left hands. 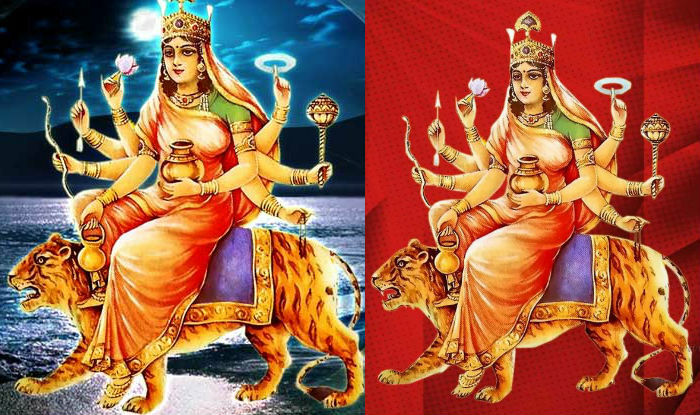 Due to her eight hands, she is also known as Ashtabhuja Devi. Her Jap Mala is believed to have tremendous powers. 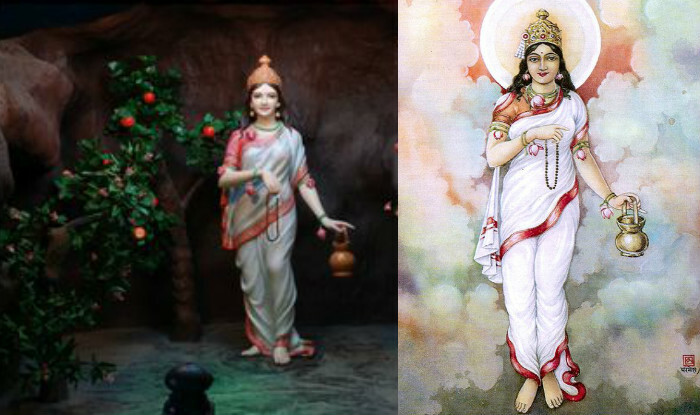 Her one hand is always on abhayamudra with which she blesses her devotees. The Goddess Kushmanda is known so due to her association with Brahmanda and Kushmanda. Sharad Navratri 2017 will end on September 29 with Dussehra or Vijaya Dashami being celebrated on September 30, 2017. The day is known by various names in different parts of the country. Special prayers are offered in temples and households on this day. Celebrations on this day vary depending on the particular region.